Richard Plantagenet Campbell Temple-Nugent-Brydges-Chandos-Grenville, 3rd Duke of Buckingham and Chandos, GCSI, PC, DL (10 September 1823 – 26 March 1889), styled Earl Temple until 1839 and Marquess of Chandos from 1839 to 1861, was a British soldier, politician and administrator of the 19th century. He was a close friend and subordinate of Benjamin Disraeli and served as the Secretary of State for the Colonies from 1867 to 1868 and Governor of Madras from 1875 to 1880. Buckingham was the only son of Richard Temple-Grenville, 2nd Duke of Buckingham and Chandos, and was educated at Eton and Christ Church, Oxford. He joined the British Army, eventually rising to become a colonel. Buckingham entered politics, as Lord Chandos, in 1846 when he was elected unopposed from Buckinghamshire as a candidate of the Conservative Party. Buckingham served as Member of Parliament from 1846 to 1857, when he resigned. He contested a re-election in 1859, but lost. Buckingham served in various political offices during his tenure. In March 1867, he was appointed Secretary of State for the Colonies and served until December 1868. He also served as Governor of Madras from 1875 to 1880. As Governor, he handled the relief measures for the victims of the Great Famine of 1876-78. Buckingham also served as Lord of the Treasury, Keeper of the Privy Seal of the Prince of Wales, Deputy Warden of the Stannaries, Deputy Lieutenant of Buckinghamshire, Chairman of the London and North-Western Railway, member of the Imperial Privy Council, Lord President of the Council and chairman of the committees in the House of Lords. He died on 26 March 1889 at the age of 65. Buckingham was the second child and only son of Richard, 2nd Duke of Buckingham and Chandos, and his wife Lady Mary, younger daughter of John Campbell, 4th Earl of Breadalbane and Holland (later The 1st Marquess of Breadalbane). His sister, Lady Anna Eliza Mary Gore-Langton, was a women's rights campaigner. As his father's son and heir apparent, he was styled Earl Temple from birth. He was 15 years of age when his paternal grandfather died and his father became the 2nd Duke of Buckingham and Chandos. From this time, he was styled Marquess of Chandos until he succeeded his father as Duke. Upon his father's death in 1861, his titles were Duke of Buckingham and Chandos, Marquess of Chandos, and Earl Temple of Stowe in the Peerage of the United Kingdom; Marquess of Buckingham, Earl Temple, Viscount and Baron Cobham in the Peerage of Great Britain; and Earl Nugent in the Peerage of Ireland. In 1868, he was also recognised by the House of Lords as Lord Kinloss in the Peerage of Scotland. The young Lord Temple, later Lord Chandos, attended Eton until 1841 and graduated from Christ Church, Oxford, from which he later received an honorary degree of D.C.L. Two years after graduation, Lord Chandos (as he then was) was commissioned a Lieutenant in the Royal Buckinghamshire Yeomanry and he would eventually become Honorary Colonel of that regiment. He was also Hon. Colonel of the 1st Administrative Battalion, Middlesex Artillery Volunteers and later of the City of London Artillery. In 1846, Buckingham, as the Marquess of Chandos, entered Parliament as Conservative MP for Buckinghamshire, and remained as an unopposed MP until 1857. The young Lord Chandos was appointed a deputy lieutenant for Oxfordshire on 3 February 1846, Hampshire on 17 February, and Northamptonshire on 29 May. In 1852, he entered Lord Derby's administration as a Lord of the Treasury, a position he held for exactly ten months. That year, he was also appointed Keeper of the Privy Seal of the Prince of Wales, Deputy Warden of the Stannaries, deputy lieutenant of Buckinghamshire, and chairman of the London and North-Western Railway. In 1857, he resigned as MP for Buckinghamshire and did not stand for re-election due to the deteriorating family fortunes and his father's bankruptcy. In 1859, Lord Chandos contested against William Ewart Gladstone for the constituency of Oxford University, but lost by 859 to 1,050 votes. In 1861, he succeeded his father as Duke of Buckingham and Chandos (and in various other titles across four Peerages) and took his seat in the House of Lords; he also resigned as chairman of the London and North-Western Railway. In the 1860s he was chairman of the London Pneumatic Despatch Company. Buckingham's political career was stagnant until 1866, when he was appointed to the Privy Council and became Lord Derby's Lord President of the Council. During the interregnum, Buckingham served as chairman of the executive committee of the royal commission for the Great Exhibition of 1862. He served as Lord President of the Council until 8 March 1867, when he succeeded Lord Carnarvon as Secretary of State for the Colonies. Buckingham was appointed Secretary of State for the Colonies when Lord Carnarvon resigned in March 1867 over the Reform Bill and served from 8 March 1867 to 1 December 1868. During this period, he was also appointed Lord Lieutenant of Buckinghamshire. As Secretary of State for the Colonies. Buckingham had to deal with the British North America Act. He also attracted controversy over his dispute with Bishop Colenso of Natal. Buckingham's tenure ended in December 1868 when the Conservative Party ministry of Benjamin Disraeli resigned. He was succeeded as Colonial Secretary by Lord Granville. On 21 July 1868, the House of Lords recognised him as the 10th Lord Kinloss in the Peerage of Scotland, which had been dormant since the death of the 6th Lord Kinloss, his three-times great-grandfather Charles Bruce, 4th Earl of Elgin, in 1747. Through the House of Lords ruling, Buckingham's father was recognised posthumously as de jure 9th Lord Kinloss, his maternal grandmother Lady Anna Brydges as de jure 8th Lady Kinloss, and his great-grandfather James Brydges, 3rd Duke of Chandos as de jure 7th Lord Kinloss. Though the lordship was the most minor of Buckingham's many titles, it was the only one that could be inherited by his daughters, and he established his right to it at a time when the likelihood emerged that he would leave no male heir. Detail from the painting of the Maharaja of Travancore welcoming Buckingham and Chandos, Trivandrum 1880, painted by Raja Ravi Varma. Painting by Raja Ravi Varma depicting Buckingham being greeted by Visakham Thirunal, with Ayilyam Thirunal of Travancore looking on, during Buckingham's visit to Trivandrum, Travancore in early 1880. Detail from the painting of the Maharaja of Travancore and his brother welcoming Buckingham and Chandos to Trivandrum in 1880, painted by Raja Ravi Varma, 1881. 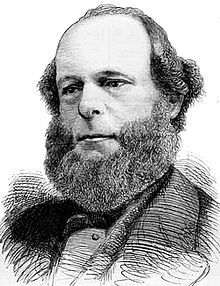 When the Conservative Party was re-elected to power in the United Kingdom in 1874 and Disraeli became the Prime Minister once again, Buckingham was appointed Governor of the Madras Presidency, British India. Buckingham moved to Madras and took his seat on 23 November 1875. Map of Chennai City showing the Buckingham Canal. The Canal connects the Coovum and Adayar rivers. Buckingham served as the Governor of Madras from 1875 to 1880. His tenure was plagued by deteriorating socio-economic and health conditions. In 1876, the Great Famine of 1876–78 broke out in Madras Presidency. By August 1877, the famine had spread all over the Presidency and over 18 million people were affected. To make matters worse, the rains failed in parts of Madras and Mysore. Large quantities of grain were shipped from Bengal to Madras port, and through his efforts, famine relief was distributed to 839,000 people in the Madras districts, besides 160,000 in the Bombay Districts and 151,000 in the Mysore districts. The Governor appealed to the principal cities of England, Scotland, Ireland and India for assistance. At Buckingham's suggestion, the Lord Mayor of London collected relief funds of up to £475,000 in 1877 (£43.9 million as of 2019). Though the famine eventually came to an end in 1878, the issue had far-reaching effects. As a part of the famine relief work, Buckingham had commenced the construction of a navigation channel between Madras city and the northern part of the Madras Presidency so that transportation of supplies to the interior in cases of emergency would be easy. More than 715,000 people were employed as labourers in Madras to assist with the relief work. Opened in 1878, this canal was named after Buckingham as Buckingham Canal. Displeasure of the tribes of the northern part of the Presidency over the stringent taxation schemes of the British government erupted in the form of the a major rebellion in 1879. The rebellion was eventually suppressed through a joint operation of the Madras police and army and the Hyderabad army and the captured prisoners sent to the Andamans. Many of the stringent taxation laws were repealed. On 30 August 1880, William Patrick Adam was appointed Governor of Madras and he succeeded Buckingham in December 1880. In May 1886, Buckingham succeeded Lord Redesdale as Chairman of Committees in the House of Lords. He made few speeches in the House of Lords and succeeded in paying off most of his father's debts. Gradually, towards the later part of his life his financial situation improved and by 1883, he owned 10,482 acres of land with a total value of £18,080. Buckingham died in March 1889, aged 65, from diabetes at Chandos House, London. His illness was unexpected and not originally thought to be serious; the House of Lords postponed voting on several bills until he recovered. Within a week, however, his illness proved fatal, despite the efforts of Dr. Henry Walter Kiallmark, the family physician, and Sir James Paget, who was called in to assist. The duke was buried at the family vault in the church at Wotton House, Buckinghamshire. With no male issue, the dukedom and marquessate of Buckingham and Chandos and the Earldom of Temple became extinct. Several of his other titles survived due to available heirs: his nephew William Gore-Langton succeeded him in 1892 as fourth Earl Temple of Stowe, which was created with a special remainder; his eldest daughter, Lady Mary, succeeded him in the Scottish lordship of Kinloss, which can be held by females as Lady Kinloss; and his distant relative Charles Lyttelton succeeded him as eighth Viscount Cobham. The Duke of Buckingham and Chandos, by Carlo Pellegrini, 1875. Caroline, Duchess of Buckingham and Chandos, died in February 1874. Buckingham married, secondly, Alice Graham-Montgomery, daughter of Sir Graham Graham-Montgomery, 3rd Baronet, in 1885. Born in 1848, she was 25 years younger than him. In 1897, she was one of the guests at the Duchess of Devonshire's Diamond Jubilee Costume Ball. There were no children from this marriage. Widowed in 1889, Alice, Dowager Duchess of Buckingham and Chandos, married the 1st Earl Egerton in 1894. She died in 1931, aged 83. ^ a b c d e f g h i j "Death of the Duke of Buckingham and Chandos". The Times. The Times Digital Archive. 28 March 1889. p. 7. ^ a b "Funeral of the Duke of Buckingham and Chandos". The Times. The Times Digital Archive. 3 April 1889. p. 11. ^ "Death of the Duke of Buckingham". The Times. The Times Digital Archive. 31 July 1861. p. 12. ^ "No. 20568". The London Gazette. 6 February 1846. p. 411. ^ "No. 21297". The London Gazette. 24 February 1846. p. 670. ^ "No. 20609". The London Gazette. 29 May 1846. p. 1981. ^ "No. 21303". The London Gazette. 23 March 1852. p. 869. ^ "No. 21341". The London Gazette. 20 July 1852. p. 2012. ^ Mosley, Charles, ed. (2003). Burke's Peerage, Baronetage & Knighthood (107 ed.). Burke's Peerage & Gentry. pp. 2185–2186. ISBN 0-9711966-2-1. ^ a b c d "The Famine in India: a Famine Area of Eighteen Million People — the Necessity for Supplies Steadily Increasing — the Situation Critical" (PDF). The New York Times. 12 August 1877. ^ "Current Foreign Topics" (PDF). The New York Times. 31 August 1880. ^ Walker, Dave. "Costume Ball 4: Ladies only". Royal Borough of Kensington and Chelsea. Partha Mitter, Art and Nationalism in Colonial India, 1850–1922. Cambridge, 1994, pp. 179–218. E. Neumayer and C. Schelberger (ed.). Raja Ravi Varma, Portrait of an Artist: the Diary of C. Raja Raja Varma. New Delhi, 2005. Messrs. Jackson Stops. "The Ducal Estate of Stowe: Sale of the Contents of the Mansion, 5–28 July 1921". J. Beckett. The Rise and Fall of the Grenvilles, Dukes of Buckingham and Chandos 1710 to 1921. Manchester, 1994. M. Bevington. Stowe House. London, 2002. Wikimedia Commons has media related to Richard Temple-Grenville, 3rd Duke of Buckingham and Chandos. "Archival material relating to Richard Temple-Nugent-Brydges-Chandos-Grenville, 3rd Duke of Buckingham and Chandos". UK National Archives. This page was last edited on 18 December 2018, at 03:56 (UTC).